Although finances can be a touchy subject for some, discussing long-term goals and budgeting with your loved one is essential for his or her future. 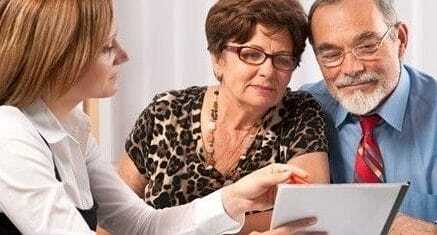 If you notice that your parent’s decision-making skills are slowing due to age or health-related issues, you may need to step in and offer additional financial guidance and support. If your parent is in the beginning stages of dementia or Alzheimer’s, offering financial assistance is a must, as the disease can result in a myriad of poor financial planning decisions, such as forgetting to pay monthly bills or making irresponsible purchases. This discussion won’t be easy, but there are ways to have an open talk about your parent’s financial future without impeding his or her independence. This is going to be one of the most important discussions that you have with your parent. If at all possible, try to keep the discussion face-to-face. So many of the emotions revolving around finances might not be suited for communication over the phone or by email. Looking your parent in the eye and taking an honest approach will let him know that you are sincere and care about his financial future. There are a lot of things to consider in the financial arena. These can include legal issues such as wills and trusts, health care costs, insurance, monthly income and expenses, taxes and other financial records. Talking about all of these things at once may overwhelm him (and you), so it is best to go slow and take on these money matters one step at a time. It may be a long conversation, but it is one worth having. The way that you approach your concerns with your father’s finances is important. Even if his finances are completely disorganized, try to phrase your comments and the discussion so that you don’t place blame. Remain respectful. You’ll also want to avoid making the conversation about you. This is his financial future, and he should have a say in the decisions that are made. Above all, let your father know from the beginning that you are trying to do the right thing for him. Whether you take your loved one to a financial advisor or lawyer to get a third opinion or ask your siblings to join in on the conversation, having like-minded individuals with you during the talk is a good idea. This way, your parent will absorb more information and be comforted by the fact that this is a family discussion rather than an uncomfortable conversation. At the same time it’s important to ensure that your father doesn’t feel it is him against everyone else. As tedious as it seems, having a list of important documents that your father can locate will definitely help start the discussion on the right path. Some of these may include a will, marriage and birth certificates, mortgage agreements, tax returns, insurance documents, property titles, health insurance information, the location of a safe deposit box and pharmaceutical records. It may be wise to keep a list of important contacts, such as his lawyer, doctor, financial advisor and life insurance agent as well. To help your father stay financially secure and independent as he gets older, budgeting and long-term decisions need to be made. As uncomfortable as it may seem, there are ways to talk about finances with your parent in a respectful and tactful way. If you need recommendations for a financial planner contact the Aegis Living community near you and ask our Marketing Director for a contact.